Non sponsored, affiliate links within. Halloween is my FAVORITE time of year. It's another chance to put my FULL Love of Halloween and creativity to the test. The First year, Gabby was Toy Story's Jessie the Cow Girl and a Scarecrow. Her 2nd Halloween She was Doc Mcstuffins (Store Bought) and a Fashionable Monster (DIY Hoodie and Hi-Low Tutu). Last Year she was a Care Bear, Harlequin (Oldschool), and snow white. 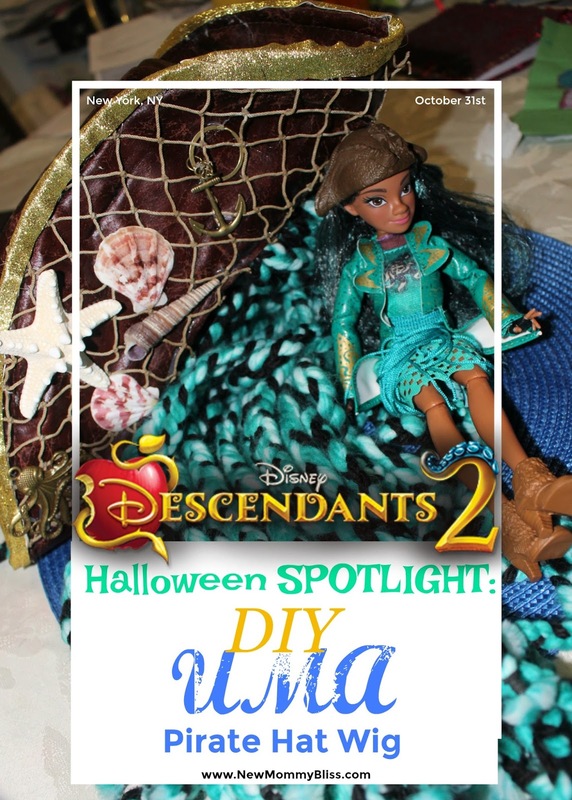 Now On her 4th Halloween, she will be UMA from Descendants 2! 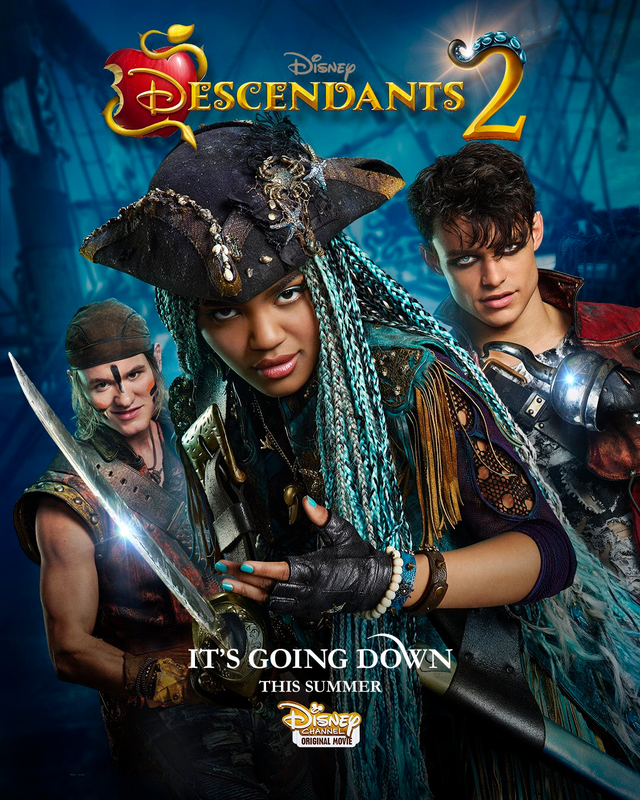 I'm gonna show you how to create an INSANELY EASY Pirate Hat Wig to match Uma's Hat and Hair in the movie. If you didn't know, Uma is the Daughter of the Evil Ursula. After getting all your supplies Together, Get started on the Hair. 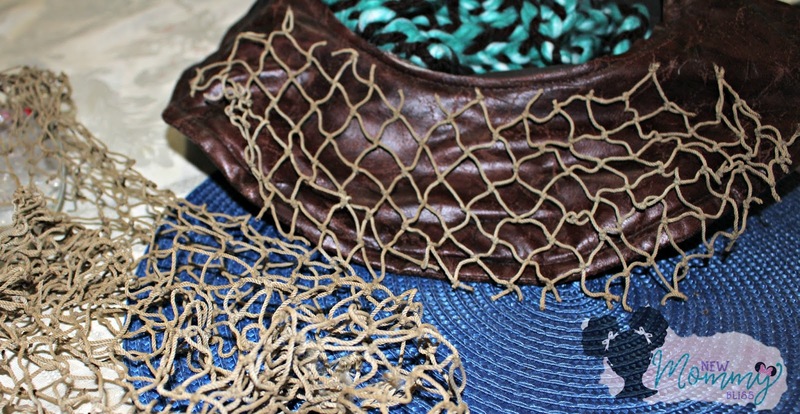 The Hair is the longest process depending on how much you are putting on the hat. For Gabby, I made 37 Braids in alternating patterns. 2 Teals + 1 black and 2 Black + 1 Teal. The length depends entirely on how long you want it to be. In the Movie, Uma has very long hair so I made ours 21 inches long. 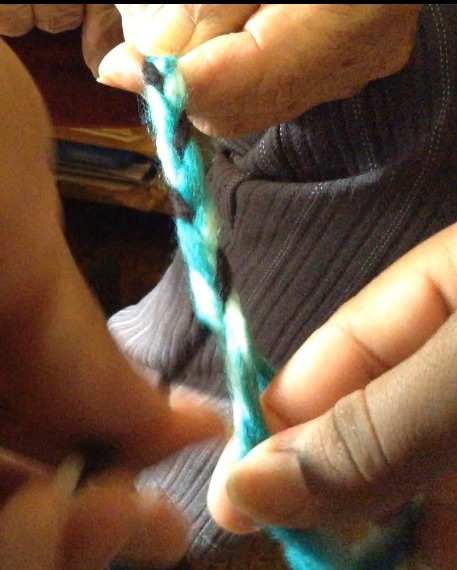 After you have secured each braid with a rubber band, trim the edges to make it even. 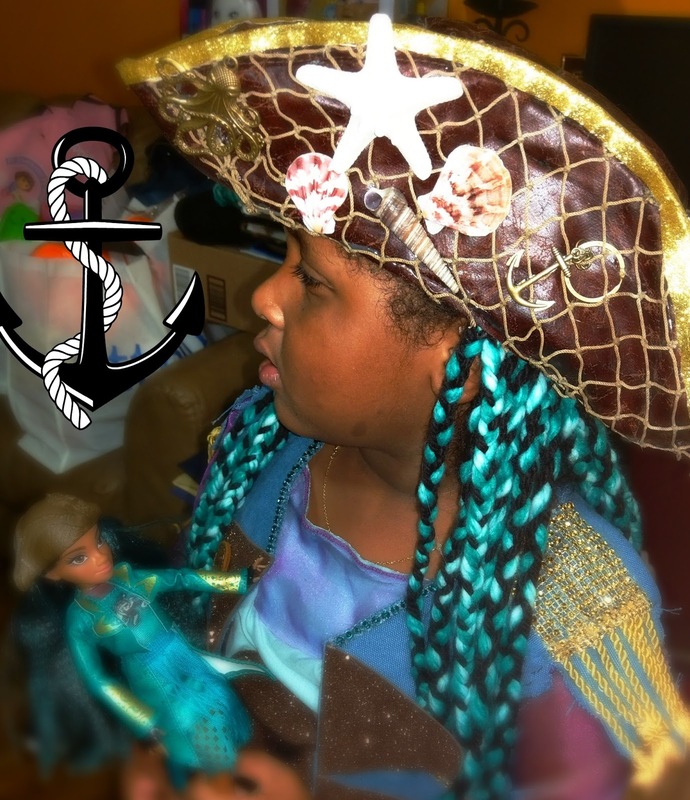 Though I did this part last, It's better If you Decorate your Tri-fold Pirate hat before adding the braids. 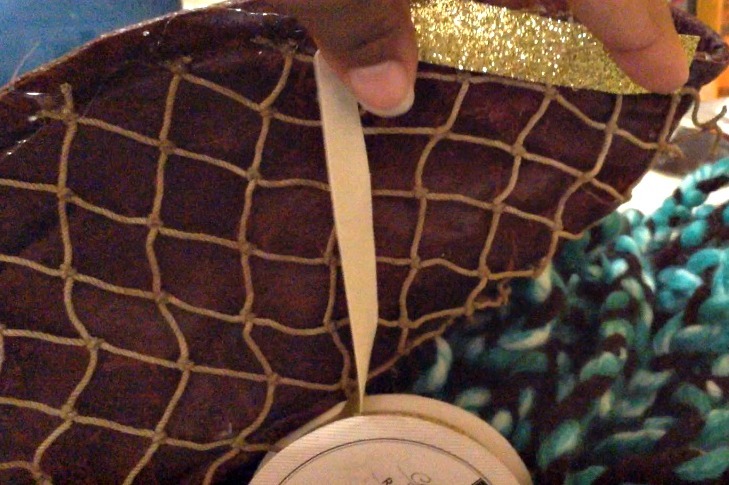 Start off by cutting some of the Fishnet to fit one of the Tri-fold flaps. Glue in place near the edges. 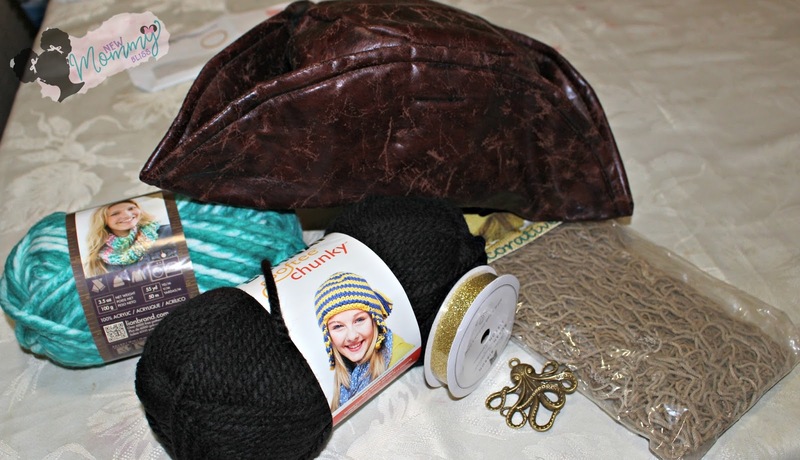 Next, Grab your gold ribbon and Glue along all the outer edges of the hat, making sure to leave space for the ribbon to fold over the edges. Glue on the front and back of the rim. 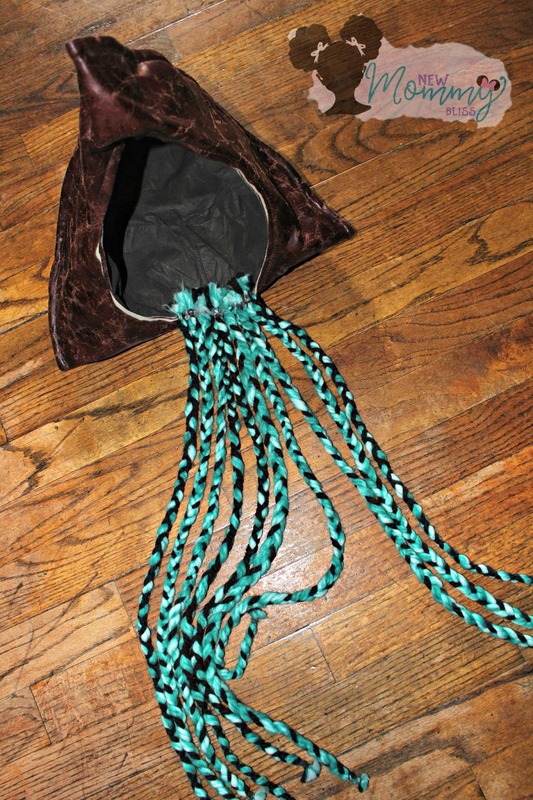 After Those 2 steps, Find the back of your pirate hat and start adding the braids. You only need to add glue to the top end of the bands and put on the hat. Keep following the step until all the hair you want is On the hat. Make sure to try it on after the glue dries to see if you need more OR less. After that final step, Add-on your finishing touches. Uma's mother is Ursula, so why not have an Octopus on the front part of her hat? Add in Starfishes, shells, anchors and a pirate boat wheel to complete your wonderful creation and Voila! Will you be making a DIY Costume This Year? If So, What will you Be? I love it! My kids love the movie and they could totally do this craft. this is a great idea Im doing a Pirate theme Bday party in December I think Ill make 12 of these similar to your thx for the idea.